Outbound's channel development delivery includes a full range of sales and marketing solutions, giving you straightforward, flexible and fast access to specialist help. At DML Marketing we develop and deliver strategies and creative solutions for working across the most appropriate mix of channels to engage, inform and encourage action from your audiences according to your objectives. As a global leader in IT security, Trend Micro develops innovative security solutions that make the world safe for businesses and consumers to exchange digital information. As a Partner Practice of St. James's Place Wealth Management, based in Marlow, Buckinghamshire. I provide a wide range of wealth management services to both individuals and businesses in London and the surrounding home counties. 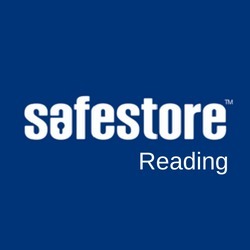 Whether you're looking for short term storage or long term storage at this purpose built store, Safestore Reading is well placed to make storing your things easy.